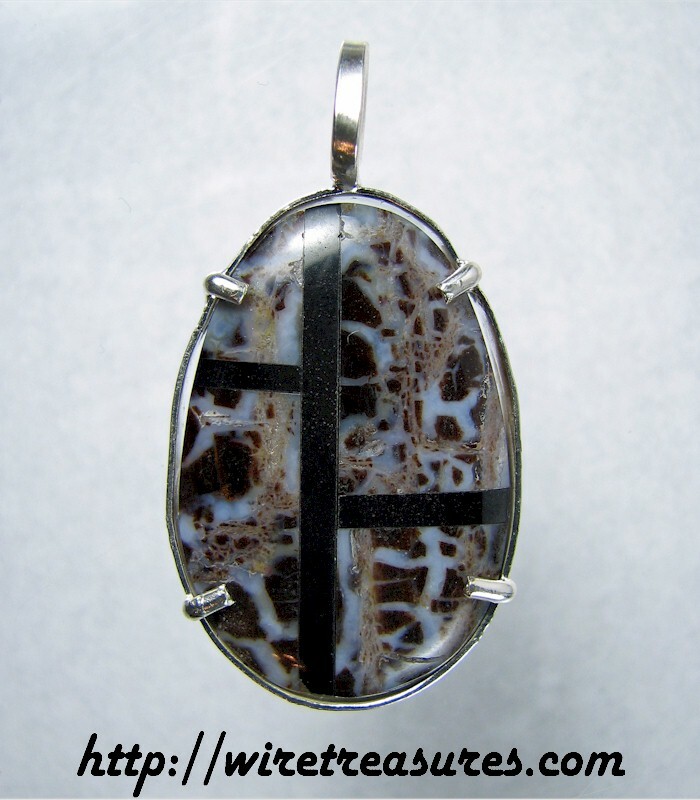 Brecchiated Jasper sectioned off by Basinite forms this pretty Intarsia pendant. The piece is supported by a Sterling Silver frame and a bale that will hold your heavier chains. This pendant is 1-7/8 inches high and 1 inch wide.